Hello spoken word fans in Dublin! 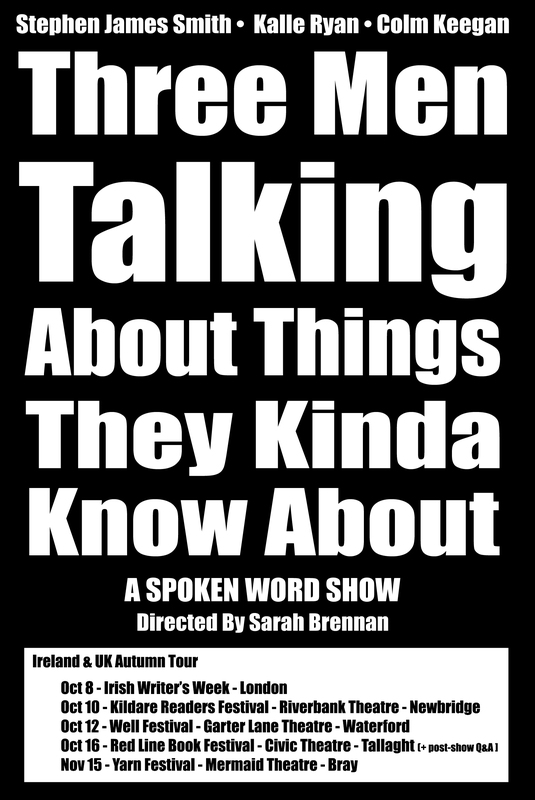 The award nominated show “Three Men Talking About Things They Kinda Know About” by Kalle Ryan, Colm Keegan and Stephen James Smith is back this October for a final whistle-stop tour that will hit London, Kildare, Waterford and Dublin. Don’t miss your last ever chance to see the award nominated show. Please spread the word to any fans of theatre & poetry you know and please pick up tickets as soon as possible to show your support. It promises to be a spellbinding night from three of Ireland’s leading performance poets under the assured direction of Sarah Brennan. Come along, spread the word, share in the experience. Support great art. We can’t wait to see you there! 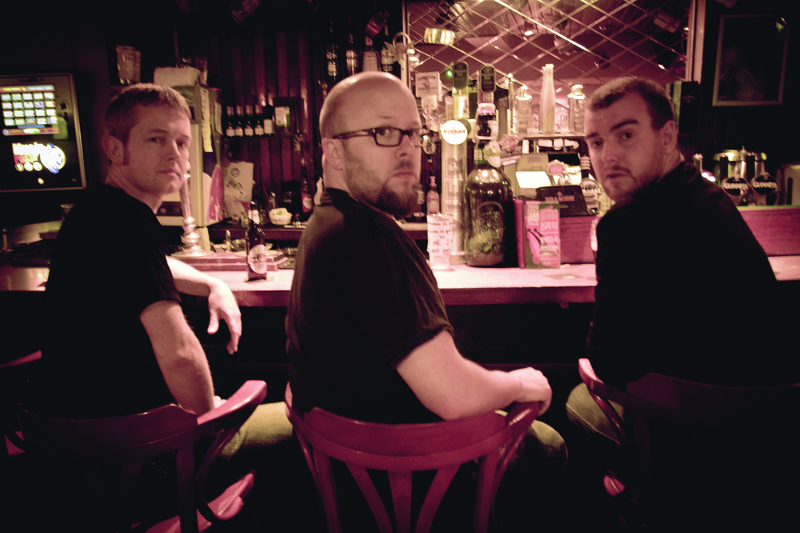 “Three of Ireland’s leading performance poets – Colm Keegan, Kalle Ryan and Stephen James Smith – take the audience on a cathartic, emotional journey into the heart of who they are. Digging into subjects that men may not traditionally explore like love, relationships, loss, family and self doubt, they explore what it really means to be a man. 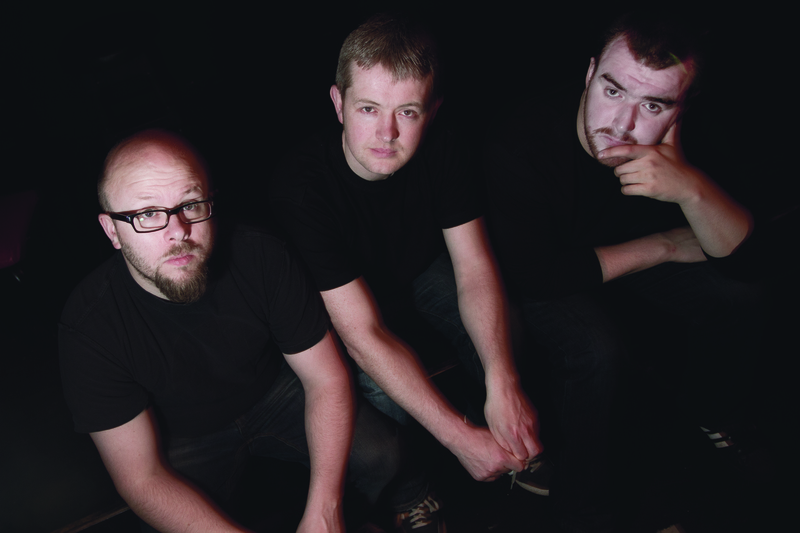 Three Men Talking has had hugely successful sold out runs at ABSOLUT Fringe 2011, the Turnaround Rep Season in Project Arts Centre 2012, as well as the 2012 Kinsale Arts Festival. The show has been nominated for the ‘Bewleys Cafe Theatre Little Gem’ award in 2011 and is currently in development to be made into a feature film. 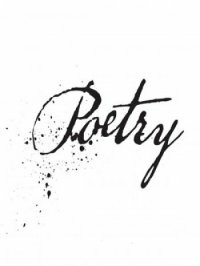 We are delighted and honoured to let you know about a special audio broadcast on performance poetry in Ireland that we recently put together for a special Irish issue of Penduline Press, a literary journal based in Portland, Oregon, USA. Our inimitable host Kalle Ryan was commissioned by guest editor Dave Lordan, to put together an audio selection of the most interesting and engaging contemporary performance poets in Ireland and the end result, an hour long broadcast, can be found at the soundcloud link below. There are, of course, many other brilliant performance poets across this country, but we simply didnt have space or existing audio recordings to include them all in this showcase. We are very proud of it and immensely honoured to have had so many gifted poets grace our stage over the last few years. We hope that you take a moment to listen to the broadcast and that you enjoy it. Please feel free to share it with any poetry and spoken word fans you may know. We also encourage you to read the entire current issue of Penduline which features a wide selection of great contemporary Irish writing. Enjoy! Hello spoken word fans in Dublin! 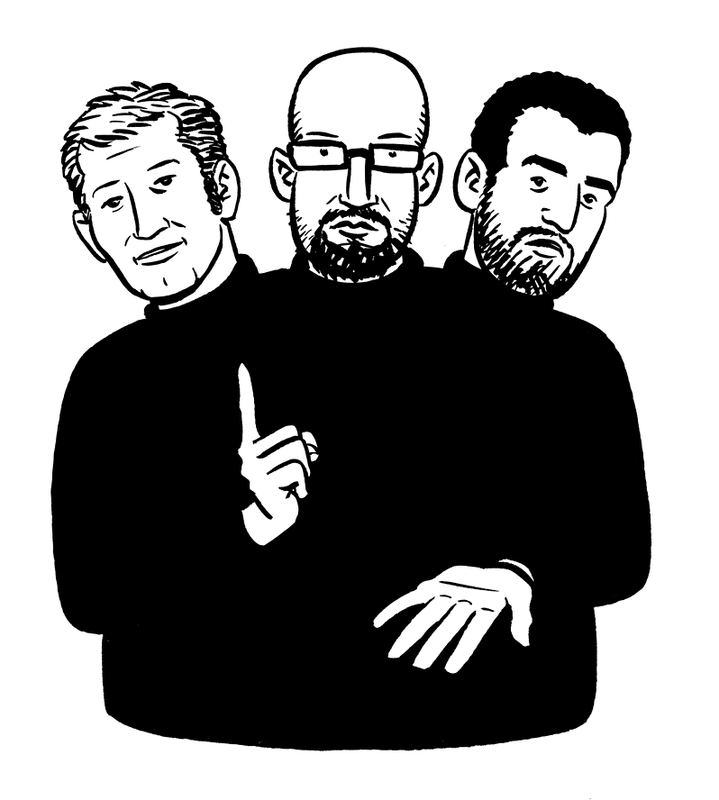 The award nominated show “Three Men Talking About Things They Kinda Know About” by Kalle Ryan, Colm Keegan and Stephen James Smith is being presented for one night only in the Draiocht in Blanchardstown on Friday, March 8th. This is the only Dublin date for the show this year, so please don’t miss this rare chance to see it again. It promises to be a spellbinding night from three of Ireland’s leading performance poets under the assured direction of Sarah Brennan. Tickets are only €16 and are already selling very well. Come along, spread the word, share in the experience. Support great art. We can’t wait to see you there! 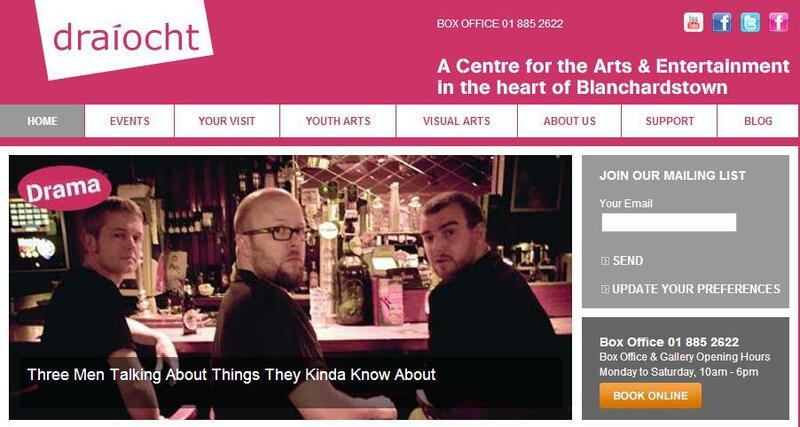 A reminder that the award nominated spoken word show “Three Men Talking About Things They Kinda Know About” (written and performed by Kalle Ryan, Colm Keegan & Stephen James Smith and directed by Sarah Brennan) will be on at Project Arts Centre as part of the Turnaround rep season in association with ABSOLUT Fringe. Five brilliant shows. Three performances of each. One more chance to see them. Pick up your tickets here , right now! 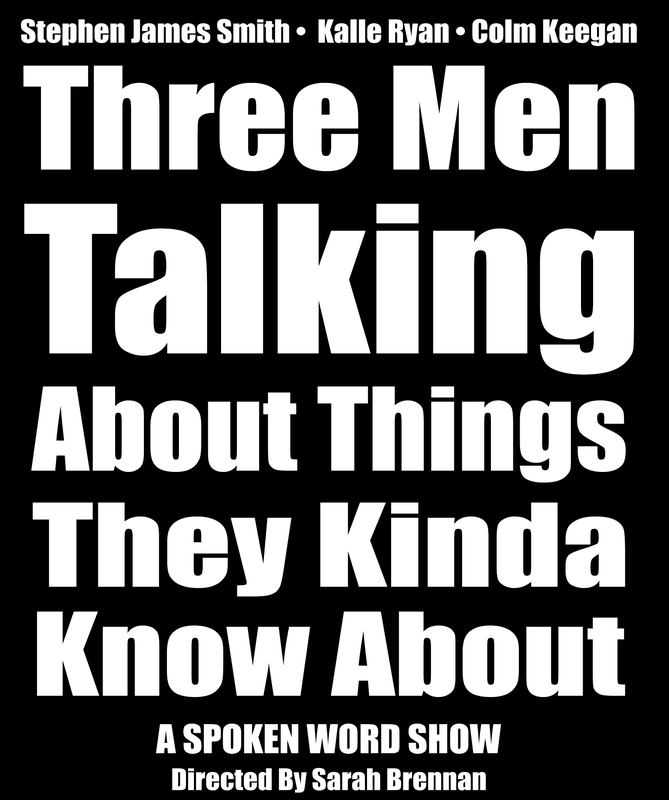 “Three Men Talking About Things They Kinda Know About” is back! The Project Arts Centre and ABSOLUT Fringe have picked five of their favourite shows from past fringe festivals and are showcasing them at this prestigious event. 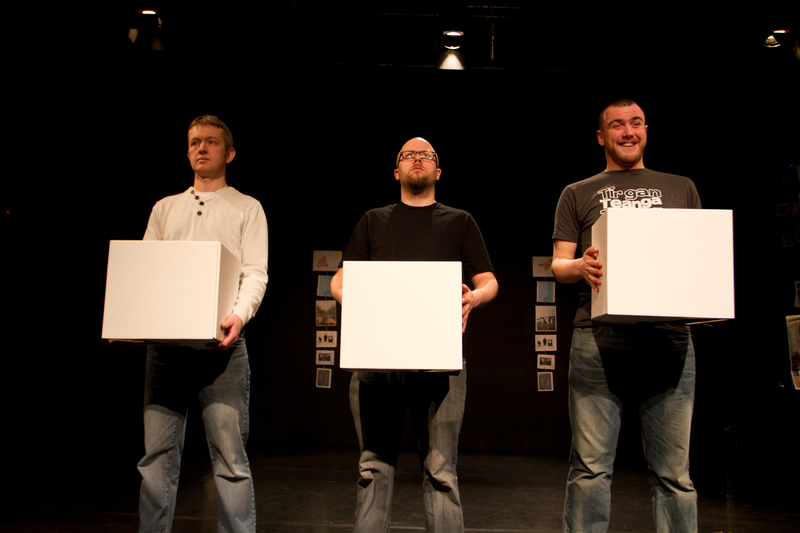 Kalle, Colm and Stephen are delighted to bring their show back and are honoured to have the opportunity to perform it on the legendary Cube stage at Project Arts Centre. The show will once again be directed by the inimitable Sarah Brennan. Their show will be staged on 18th, 19th and 27th April and you can pick up tickets below. There are all kinds of cool deals also in place to see the entire season of work too, so please support these great artists and this wonderful set of shows. Tickets are already selling fast, so snap up a seat while you can from the Project Box Office online > I would love to buy a ticket , take me to the website! Last year Danny Carroll (2XM) put together the first ever documentary about the current performance poetry scene that is brewing and fizzing here in bubblin’ Dublin. 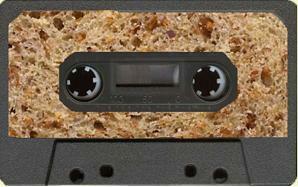 It is now available for the first time online and features lengthy excerpts from the brownbread mixtape, as well as an interview with our resident MC and house poet Kalle Ryan. A lovely snapshot of a moment in time and while much has changed even since it was made (The Glor Sessions no longer exists) , it features some great performances and interviews with many of Dublin’s leading performers, all of whom are past performers at the brownbread mixtape (incl. Fergus Costello, Stephen James Smith, Abby Oliveira, Raven, CAH-44 and Colm Keegan) . Yeah, POETRY!